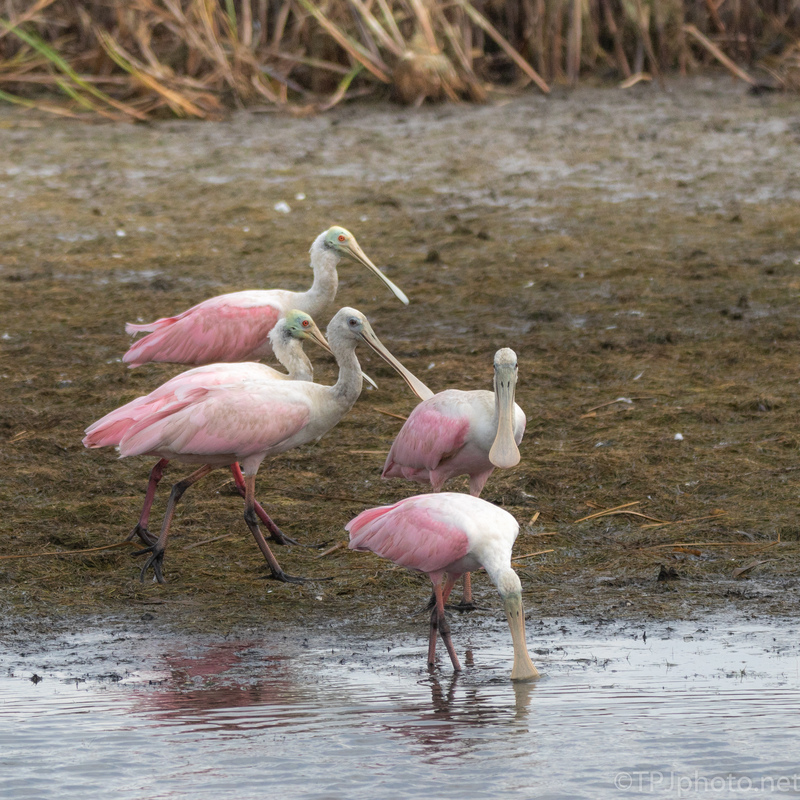 A few photographs taken as a group of Spoonbills moved between marsh areas. There were several groups here and they were taking turns in the low water. Click, or double tap, any image to view the gallery.